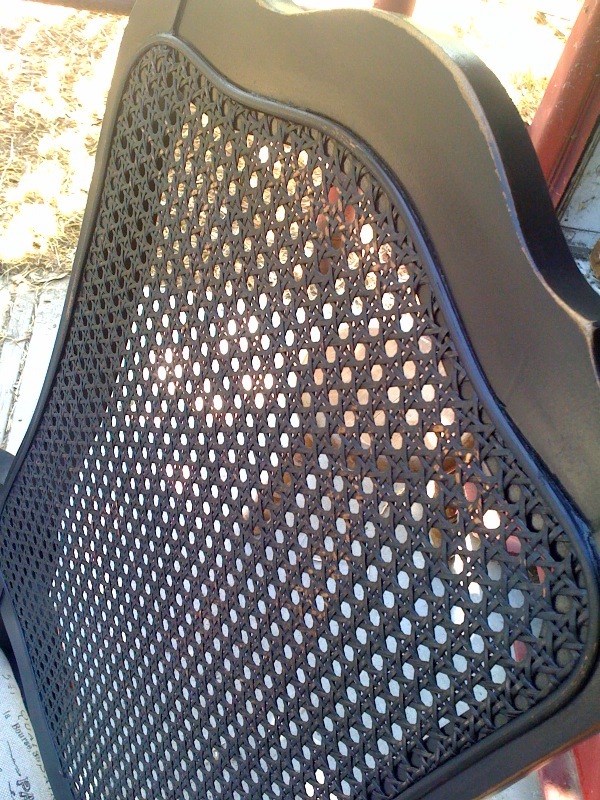 These chairs turned out wonderful! We were super excited when we put the last cushion on this afternoon. 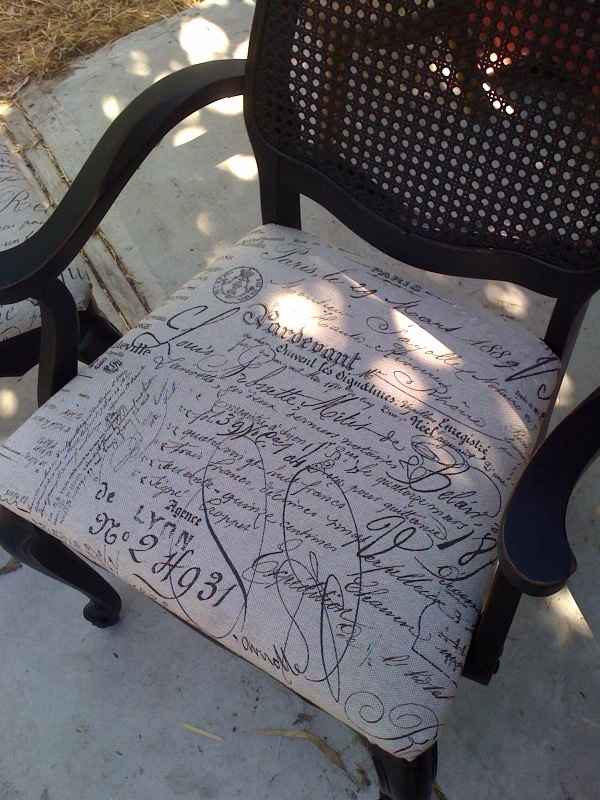 Chairs are distressed with a Paris inspired fabric on the cushions. 2 chairs have arms and the other 2 do not. 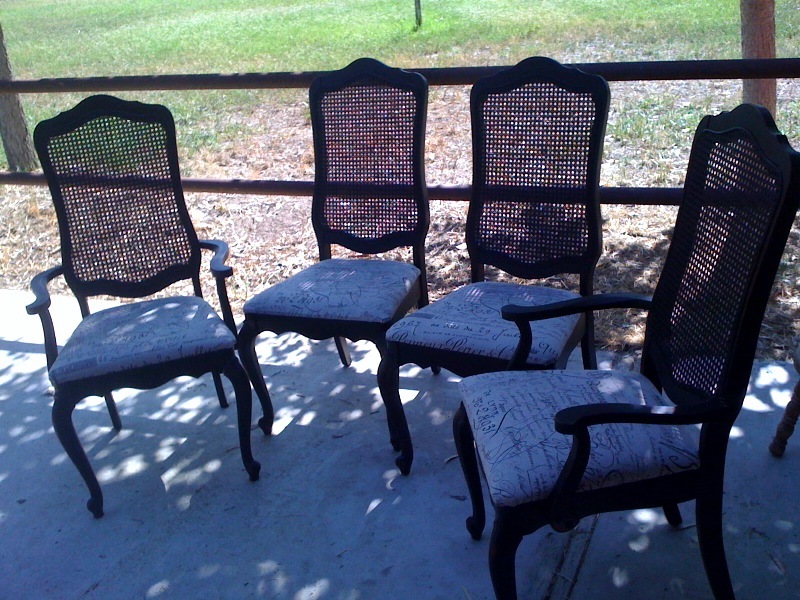 Set of 4 black french dining chairs.